1.1 The following terms and conditions apply for Date My Dad promotion (the “promotion”) and by submitting an entry into this promotion, entrant’s warrant that they have read, understand and agree to be bound by them. 1.2 These terms and conditions can be collected at 106 JACKfm & JACK 2 at 270-272 Woodstock Road, Oxford, OX2 7NW and can be downloaded from www.jackoxfordshire.co.uk (“the website”). 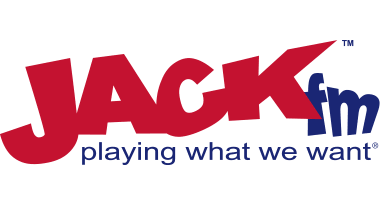 The promoter is Passion Radio (Oxford) Ltd trading as JACKfm & JACK 2. The registered address of Passion Radio (Oxford) Ltd is 270 Woodstock Rd, Oxford, OX2 7NW. (the “Promoter”). 3.1 Registrations will be taken from 6am Tuesday 10th June until midnight Wednesday 18th June 2014 (“Registration Period”). 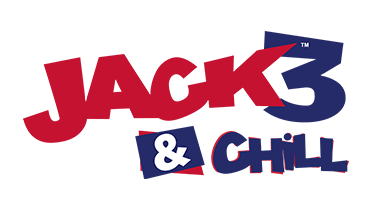 4.1 Entry is available to single Dads who are permanent residents of Oxfordshire and neighbouring counties, aged 18 years or over and available to take part in promotional activity (when required) for 106 JACKfm & JACK 2 from Monday 23rd June – Friday 27th July 2014. 4.2 Employees and the immediate families of the Promoter and its related bodies corporate are ineligible to enter. Employees and the immediate families of all associated sponsors and participating companies are also ineligible to enter. During the Registration Period, children of single Dads (with consent) are encouraged to visit the 106 JACKfm & JACK 2 website and register their Dad for Date My Dad by completing the questionnaire and attaching photo of their Dad (if available) to be considered for progress through to the next stage of the promotion. All entrants acknowledge that their Entry including their photo may at the discretion of the Promoter be placed on the website. 5.2 We reserve the right to disqualify any Inaudible, incomplete or incomprehensible entries (whichever is applicable). The Promoter reserves the right to disqualify any entry which in the opinion of the Promoter includes any content may be unlawful, profane, inflammatory, defamatory and/or damaging to the goodwill or reputation of the Promoter. 5.3 Any person who is discovered to have used or attempted to use more than one name in entering the promotion will be disqualified from participating in the promotion and/or redeeming a prize. 5.4 Unless otherwise stated in these terms and conditions, no person may enter this promotion more than once and persons may not enter or participate in it on behalf of any third party. 5.5 Should an entrant’s contact details change during the promotional period, it is the entrant’s responsibility to notify the Promoter. A request to access or modify any information provided in an entry should be directed to the Promoter. 5.7 All dates will be attended by a chaperone and that chaperone will be in attendance for the full duration of the date event. 5.8 All entrants must be willing to undergo a background check through Disclosure Scotland (www.disclosurescotland.co.uk). 5.9 All entrants must be willing to put up their kids, family members, friends, ex colleagues and, if possible, ex partner for interviews in JACK's Morning Glory breakfast show. 6.1 All entrants will be judged by a panel of JACKfm representatives. Those deemed suitable will be invited to a 2nd interview where a psychotherapist will be present. 6.2 The 2nd interview will take place at 106 JACKfm & JACK 2, 270 Woodstock Road, Oxford, OX2 7NW on Friday 20th June between 9am and midday. We reserve the right to disqualify anyone who failure to be available for this. 7.2 All elements of the dates are subject to availability, non-transferable and non-exchangeable, must be used on the dates specified in these terms and conditions, by the Promoter and/or the date night provider and are not redeemable for cash unless cash is specified. Must take place within Oxfordshire. Cost no more than £200. 7.4 106 JACKfm & JACK 2 reserve the right to change the dates of these date nights at any time. The Dad chosen to take part in Date My Dad will be notified by telephone then by email. The 4 chosen women or men to make it through to the dating stage will also be notified by telephone and then by email. The final chosen women or men will be notified on air at the time of winning and then by post. 9.1 The Promoter will not be responsible or liable if for any reason beyond their reasonable control any element of any prize is not provided. The Promoter may, subject to State regulations, substitute a different prize of equivalent value in place of any prize referred to in these terms and conditions. 9.2 The Promoter will not be responsible for any changes in times or dates, or cancellations or rescheduling of events that may prevent the prize winner from redeeming the prize or any part of it. Any tax payable as a result of going on a date as part of the Date My Dad promotion will be the responsibility of the winner. Winners should seek independent financial advice prior to accepting a prize if this is a concern. 11.1 It is a condition of entry that the Promoter has the right to publicise the names, characters, likenesses or voices of any entrants for any promotion or matter incidental to the promotion. 11.2 Entrants consent to their entry being read out on air and/or to their telephone and other conversations with the Promoter being broadcast on air. 11.3 Entrants may be required by the Promoter to participate in photo, recording, video and/or film session(s) (the “publicity materials”) and acknowledge that the Promoter has the right to use such publicity materials in any medium (including, without limitation, the internet) and in any reasonable manner it sees fit, unless that person advises the Promoter at the time of entering the promotion that he/she wishes to retain his/her anonymity. 11.4 Entrants also acknowledge that the publicity materials may be provided to the prize provider for the purposes of promotional display. undertake to the Promoter that their entry is not in breach of any third party intellectual property rights. 14.1 If for any reason this promotion is not capable of running as planned as a result of any (including but not limited to) technical failures, unauthorised intervention, computer virus, mobile phone failure, tampering, fraud or any other causes beyond the control of the Promoter which corrupts or affects the administration, security, fairness, integrity or proper conduct of this promotion, the Promoter reserves the right (subject to UK regulations) to disqualify any individual who (whether directly or indirectly) causes the same and/or to cancel, terminate, modify or suspend the promotion. 14.2 The Promoter accepts no responsibility for any late, lost or misdirected entries including but not limited to electronic messages not received by the Promoter due to technical disruptions, network congestion or any other reason. 14.3 The use of any automated entry software or any other mechanical or electronic means that permits any person to enter the promotion repeatedly is prohibited. Obtaining time off work and/or study or related activities to participate in the promotion and/or a prize will be the sole and absolute responsibility of each contestant. The Promoter reserves the right to exclude any person from participating in the promotion or a prize for any reason, including but not limited to, that person’s medical condition or history, the preservation of the safety of the Promoter’s staff members or any other person or because the Promoter deems that the behaviour of a person may bring the Promoter’s brand into disrepute. The Promoter may vary the terms of or terminate this promotion at any time at its absolute discretion without liability to any contestant or other person. All decisions and actions of the Promoter relating to the promotion and/or redemption of the prizes are exercised according its absolute discretion and are final. No discussions or correspondence with entrants or any other person will be entered into.